Gay Bashing victim David Beltier (l), partner Jeremy Mark (r), and their poodle Beauty. Hillsboro, Oregon – A bizarre anti-gay crime case at a busy highway street crossing has attracted national attention as Federal prosecutors issued hate crimes charges against a man whose homophobic rage was sparked by the sight of a pink poodle. The assailant, George Mason Jr., 22, was charged this week with a violation of the Matthew Shepard and James Byrd Jr. Hate Crimes Prevention Act for attacking a gay man with a heavy bolt cutter and screaming anti-gay slurs during a peaceful, midday stroll with his boyfriend and their pink-dyed poodle on March 1. Multiple witnesses say Mason shouted slurs at the gay couple from his SUV, did a U turn, raced back to the intersection, and allegedly attacked David Beltier with his fists and the bolt cutter. Beltier sustained blows to the upper arm, and to the back of his head. The assault could very nearly have cost Beltier his life. 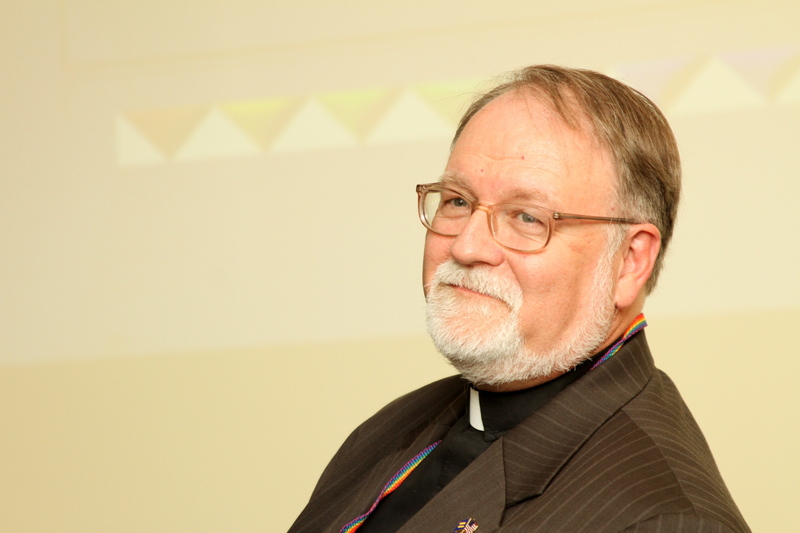 Portland, Oregon court documents record the hate crime in legal language, but preserve the horror of the assault, coming from a complete stranger: “(Mason) willfully caused bodily injury and, through the use of a dangerous weapon, attempted to cause bodily injury to (Beltier), who is gay, because of (Beltier’s) actual and perceived sexual orientation.” The Associated Press, in a story carried by the Columbus (IN) Republic, also reports that Mason faces Oregon state charges including second-degree intimidation, second-degree assault, unlawful use of a weapon, and reckless driving. The intimidation charge is a bias-motivation charge in the Oregon state code. Mason’s wife, Saraya Gardner, who was in Mason’s vehicle at the time of the attack, has also been charged in the case for obstructing justice. George Mason Jr. Alleged gay basher enraged by the sight of a pink poodle. 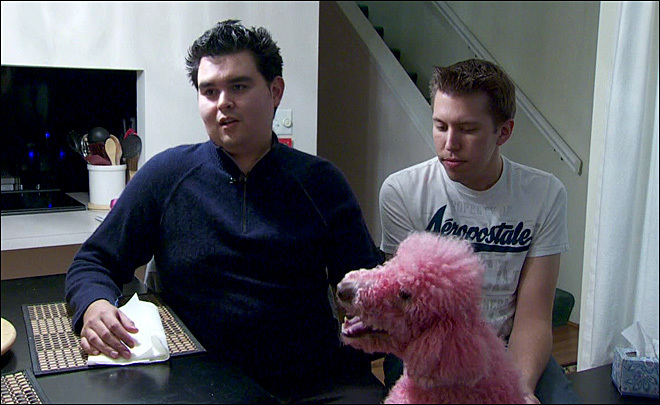 In an interview in Komonews.com, Beltier and his partner, Jeremy Mark, recounted that they were crossing the street with their pink-dyed poodle, Beauty, when the attack occurred. Beauty, explained Beltier and Mark, had been harmlessly dyed pink with Kool-Aid for a bit of pre-Easter fun, and to match their two other pastel-dyed dogs. The sight of the pink poodle proved too much for Mason, who screamed profanities at the couple from his moving vehicle. The intersection was filled with witnesses who blared their horns in protest of the attacker. Beltier credits the witnesses with saving his life. “If I didn’t hear all the other people honking, all the people seeing what was going on, he could have probably severely hurt me, maybe even killed me right there and then,” he said. The New York Daily News reports Mark’s account of the slurs Mason hurled at his boyfriend. “[Mason] was saying, “Your poodle is a weird color and that’s just un-American” and “f— you, you f–s” and shouting,” Mark said. 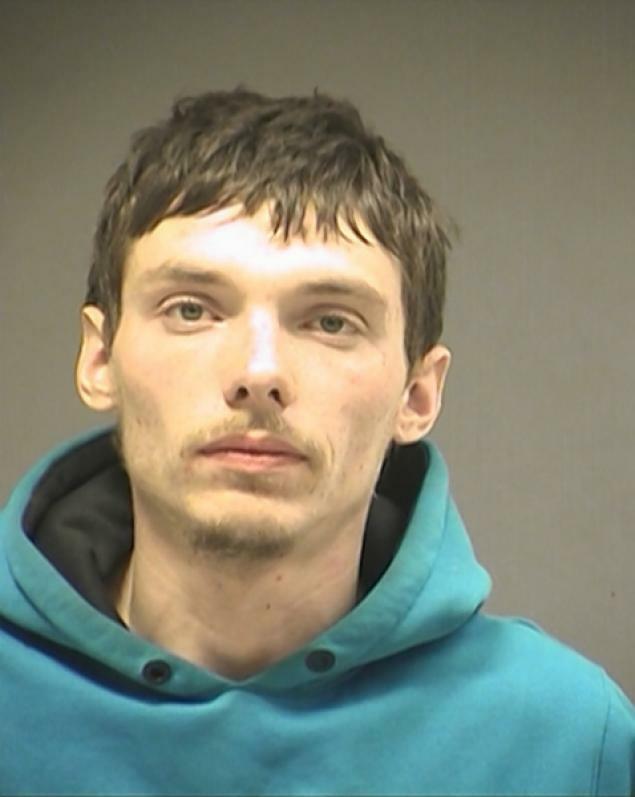 As Mason raced away from the scene of the crime, witnesses tried to block his vehicle, and one witness took off after him, capturing Mason’s license plate number. The information led to the arrest of Mason and his wife, Gardner. Though officials advised the gay couple to eliminate the bright pink color from his pet’s fur, Beltier and Mark remain adamant. They say that they did nothing wrong, and they are not going to let fear dictate their lives. They just allowed Beauty’s fur to grow out naturally over time.